The API release was timed to coincide with our open call for participation in a “Tree-for-all” hackathon, which took place September 15 to 19 (2014) at University of Michigan, Ann Arbor. 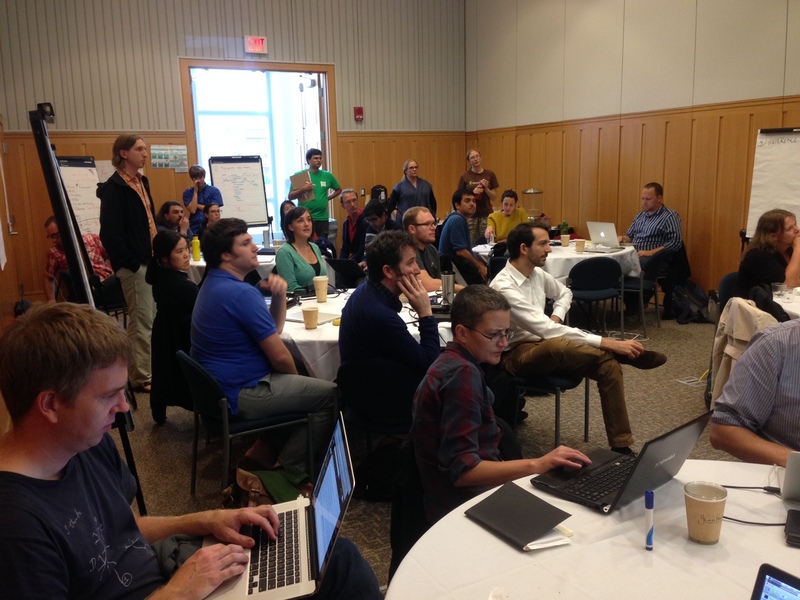 The hackathon— organized and funded by OT, the Arbor workflows project and NESCent’s HIP (Hackathons, Interoperability, Phylogenies) working group (Stoltzfus and Pontelli, PIs)— aimed to build capacity to leverage OT’s resources, making expert phylogenetic knowledge more accessible to scientists, educators, and the public. To find out more about the hackathon, go to Open Tree’s blog (click on the “tree-for-all” tag), where I am guest-blogging about it. Using web services to make phylogenetic knowledge more accessible is the theme of the Phylotastic project described by Stoltzfus, et al. 2013.